As discussed in the ‘Process Overview’ section, the most fundamental of the ingredients used in making beer is the grain of the barley plant. So, for starters, picture 3.1 shows what the barley grains look like when the brewer first gets them. These grains are of what’s called ‘Pale Malt’ and are shown here as they are stored after malting. This is how they look if you go buy yourself some direct from a ‘maltster’. Pale malt is dried (after malting) at a relatively low temperature and this preserves lots of enzymes, meaning that they’ll be there later when you conduct the mash. If it was dried at a relatively high temperature then the enzymes would have been denatured (killed !) and the grain would have been a darker colour. These enzymes, by the way, include the ones that convert the starches into sugars during the mash and so we need them to be preserved. You’ll also be aware that the outer husk of the barley grain is very well ‘wrapped’ around its interior and this makes it difficult for us to get at the food store inside when we mash. In order to use the grains in the mash we must first break them open and we do this in a step calling ‘milling’. Essentially the grains are passed through a gap between two rollers and the grain is cracked open. Typically the insides break into smaller pieces and the husks will break open. The next picture shows the same barley grains after they have been milled. The idea behind milling is that it opens up the interior of the grain so that the hot water of the mash can get to the starchy interior of the grain. In the first picture the husks are intact but, after milling, they have been partly separated from the interior of the grain and the interior itself has been cracked into smaller chunks. (Note, not milled into a fine powder which would be flour !) It is important that any barley grains you use in the mash are first milled and that the milling is correctly done. Also, in picture 3.2, note the colour of the inside of the grain. It is very white, indicating that the grain was dried (after malting) at a low temperature. This white colour is typical of lightly dried malts such as ‘pale malt’ and ‘lager malt’. Now, one thing to realise is exactly how important that husk is to the mashing process, without it the mash would compact into a semi-solid chunk and you would not be able to easily run off the sweet, clear wort. In contrast, take a look at picture 3.3 that shows uncrushed grains of wheat, another grain often used in the production of beer. Wheat grain does not have a husk and can therefore create problems in your mash tun if it forms too high a part of the grain mix (say > 30%). Picture 3.3 : Uncrushed grains of ‘Wheat Malt’ – note, they have no husks! Provides most of the enzymes needed to do the starch to sugar conversion. Denaturing the enzymes, meaning that that particular grain won’t be able to convert its own starches into sugars. It’ll therefore rely on the enzymes from other grains (such as the base malt) to convert its own starches into sugars. As a starting point, keep in mind that ‘Pale Malt’ is typically roasted at no greater than 80°C. Amber Malt : Can be made by roasting ‘Pale Malt’ or ‘Mild Ale Malt’ to around 150°C. Crystal Malt : This is not simply just roasted but has a two step process : (i) Malt which has yet to be kilned is wetted and heated to 65°C in a closed vessel. This is the same as mashing temperatures and during this step the starches in the grain get converted into sugars as part of its manufacture. (ii) These grains are then heated to around 250°C to dry the malt and caramelise some of the sugars. 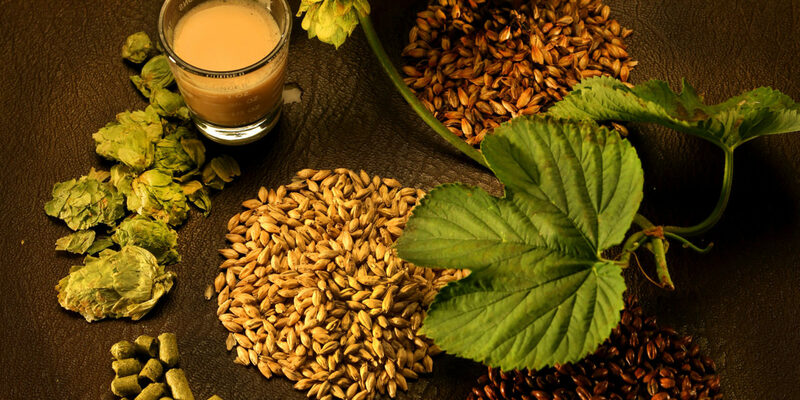 Crystal Malt is the ingredient largely responsible for the coppery colour and caramelly taste of most English ales. Figure 3.4 shows some milled crystal malt grains. The grain’s food store in this grain appears in the picture as almost black pieces. They actually look like crystallised sugar (which of course they are!). Chocolate Malt : The malt is heated to around 230°C for long enough to get the correct colour. Chocolate Malt is used is small amounts (< 10%) in Porters, Milds and some Bitters and gives a dark colour. Black Malt : Much the same as Chocolate Malt but its left at the temperature for longer to get a deeper roast. 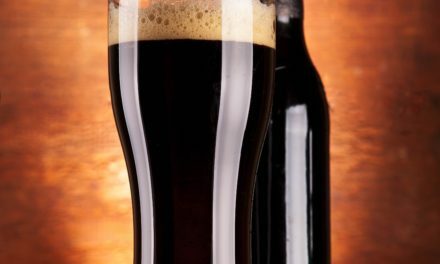 Black Malt finds application in Mild Ales, Porters and Stouts. Note, the following picture was brightened a fair bit in order to show any detail on the malt grains themselves, in practise, they are mostly black. Figure 3.5 shows a picture of some Black Malt grains. RoastBarley : And just to confuse you, all of the above ‘MALTS’ are made by roasting ‘MALTED BARLEY’. However, you could also miss out the malting step and just go straight to roasting the barley at 230°C until the colour is that of Black Malt. Then you have ‘ROASTED BARLEY’ . . . not a ‘ROASTED MALT’. Yeh ? Roast Barley is what gives Guinness its colour and burnt tasting edge . . . yummy ! Figure 3.6 shows a picture of un-malted barley grains before (top) and after (bottom) the roasting step. The un-malted barley can be bought (without its husks on) at any supermarket as ‘Pearl Barley’. Picture 3.6 : Unmalted barley grains – TOP : Pearl Barley, BOTTOM : Same grains after roasting at 230°C. Additional grains that can be used in brewing include flaked versions of the above barley or wheat. These tend to look like ‘cornflakes’ that we have for breakfast but come without any of the flavour improving sugars etc that manufacturers tend to use. The nice thing about flaked versions of a grain is that they have been heated and, in so doing, their starches are usually gelatinised, meaning that they will directly dissolve in your mash and be converted into sugars. Picture 3.7 shows an example of wheat flakes. Picture 3.7 : Wheat flakes. In addition, picture 3.8 shows a few grains of ‘Oat Flakes’. These are unmalted oat grains that have been flaked and are tyopically used at up to 10% of a recipe. They are often used in Belgian ales and sometimes in so-called ‘Oatmeal Stouts’. I buy mine at a supermarket, they go as ‘rolled oats’, just check they haven’t had stuff added to them, you want the unadulterated version for your brew. Picture 3.8 : Rolled Oats. In brewing beer the flower of the hop plant is used to impart bitterness, flavours and aromas into the beer. This is done by boiling the hop flowers in the boiling wort. When buying hops you will need to decide whether you want to work with the hop flower as it comes off the plant or a pelletised version of it. Quite often you will not necessarily have the choice and you may only be able to obtain one or the other. There’s a huge variety of different hop plants and all vary in the nature and amount of bitterness, flavour and aroma that they can impart to your beer. Some varieties are better suited to certain types of beer, so you may seek out ‘Goldings’ or ‘Fuggles’ for that classic English Bitter or you may want some ‘Saaz’ for that Czech Pilsner. Picture 3.9 : A hop ‘cone’ or ‘flower’ – this one’s a bit flattened! The hop flower as seen here is easily oxidised by contact with air and can often turn a dull brown colour. In fact, if you look closely, some parts of the leaves of this flower have already started to turn a little brown. When this happens, the hop is degraded and may have little of its earlier potential left. So, if you want good quality beer, look for good quality hops ! Another issue with hops is that, after you have boiled them in your wort, how the heck do you stop them from blocking up the boiler’s tap and all of the pipes that you may be using downstream ? Well, if you use pelletised hops it can be a simple matter of giving your wort a big stir at boil-end and allowing them to settle out in the bottom of the boiler (just like tea leaves settle into a neat cone in the middle of the tea cup if given a stir). Whole hops usually need some form of physical restraint, such as a separate container with a false bottom (just like used in a mash tun). Such a container is referred to as a ‘hop back’ (they keep the hops back ?!) and you just run your wort into this container and the false bottom retains the hops while the wort flows through. 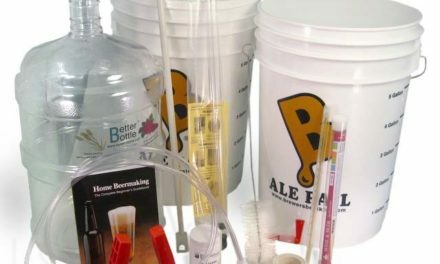 My experience as a home brewer has been to just go for pellets in the beginning, they tend to behave better and you don’t need special equipment (such as a hop back). Later, when you’re more comfortable with the process, give whole hops a bash. But heck, don’t let me stop the adventurous spirt that is home brewing ! 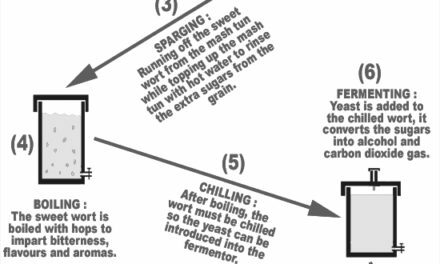 As explained in the Process Overview section, brewing is all about getting yourself a ‘sugary solution’ and then fermenting that, with yeast, into beer. And most of your sugars should come from the barley during the mashing step. However, what exactly is sugar and which types should we use in our beer ? Well I must admit to being bewildered when it comes to getting this bit right so I’d like to acknowledge Graham Wheeler’s book ‘Home brewing – The CAMRA Guide’ (ISBN 1 85249 112 4) for its guidance on this one ! (By the way, this is one of the best brewing books I’ve ever read, wonder if CAMRA will ever re-release it ?) Also, a number of internet articles that eventually got my brain around the terminology ! For the most part, commercial sugar products will form a small part of your brewing ingredient bill in any case so don’t worry if the following sounds too much on your first read through. The first thing to keep in mind is that the word ‘sugar’ is akin to saying ‘bird’. Just because you tell me that you have a bird doesn’t tells me anything about which bird you have, it could be one of a thousand species ! And the same is true for ‘sugar’, it is a generic term for a range of chemical compounds. And to make matters worse, the sugar industry has an even larger range of names for their products and any one sugar product may contain a whole range of different types of sugars. So,its OK to be confused when it comes to understanding sugar ! There are three basic building blocks in the sugar world and these are referred to as the ‘mono-saccharides’, where ‘mono’ means ‘one’ and ‘saccharide’ means ‘sugar’. So, a mono-saccharide is just one sugar molecule all on its lonesome. Each of these mono-saccharides is a single, fundamentally different molecule of sugar and it appears that they can all be fermented by yeast into ethanol and carbon dioxide. In addition to these, nature has found a way to bond more than one sugar molecule together and it is the combinations of our three building blocks (mono-saccharides) above that give the rest of the sugars. If we attach two mono-saccharide sugar molecules together then we end up with a ‘di-saccharide’, where ‘di’ means ‘two’. White Cane Sugar : This is the stuff we chuck into our tea and coffee every day and is known as ‘sucrose’. Sucrose is actually two different sugars bonded together, namely ‘glucose’ and ‘fructose’, hence why its referred to as a ‘disaccharide’ (di = two). Yeast isn’t able to directly ferment sucrose and so, during fermentation, it excretes a special enzyme (invertase) which breaks the bond between these two sweet buddies. They then float around your fermentor as ‘glucose’ and ‘fructose’ and yeast is able to ferment these directly. When these sugars ferment they disappear completely, leaving no residual sweetness or body in your beer… the lesson is never put more than say 10-20% by weight in your beer or you will ask for a thin, low body beer which (if you use 20-50% sucrose) will have that cidery flavour so common in kit beers that are made with a couple kg of sugar. Double up on the malt / kit and leave the sucrose in the cupboard! Brown Cane Sugar: This is how white cane sugar looks before it goes through its final refinement processes. It can add some colour to your beer but is pretty much the same as the white stuff as far as beer making is concerned. It comes in many different forms and Wheeler lists these as ‘brown’, ‘demerara’, ‘soft brown’, ‘Barbados’ etc. I’m assuming therefore that it is also a disaccharide of glucose and fructose. Sugar scientists . . . help ! Invert Cane Sugar : The enzyme used by yeast to break the glucose-fructose bond is called ‘invertase’ and the process of breaking this chemcial bond is referred to as ‘inverting’ the sugar. Not sure why . . . sugar scientists . . . help ! Anyway, its possible for the sugar manufacturers to break this bond for you and this product is called ‘invert sugar’. In homebrewing, where you’re keeping the sugar content to < 10-15% of the recipe, don’t worry, just use your white or brown cane sugar. Apparently some of the syrups you can buy at the supermarket are invert sugar. The UK version is sold as ‘Tate & Lyle Golden Syrup’. In South Africa we get ‘Illovo Golden Syrup’, I suspect these are fairly close to each other. Your call. Lactose This is the sugar found in milk and is one that yeast cannot ferment. So, if you get some lactose in your wort, it’ll still be there after fermentation and so will provide residual sweetness in your beer. It has traditionally found a place in sweetening some stouts and these were referred to as ‘milk stouts’ . . . and now you know why ! However, it does not (to the best of my knowledge) appear naturally when we mash so needs to be added by the brewer. Maltose As you will have seen above this is a combination of two glucose molecules stuck together and yeast is quite capable of breaking it down into into its component parts and hence it is also 100% fermentable. Maltose is rarely found in nature and generally appears when produced as a by-product of the breakdown of starch. Aha, so there’s the connection to brewing, we use starches from malted barley to create our ‘brewing sugars’. And maltose is one such by-product that appears in great quantity when we mash. Syrups There are a huge range of commercially available ‘sugar syrups’ and, unless they tell you on the package what you’ve got you will not know what’s in there and how fermentable it is. Many of these syrups are derived from maize and contain a mixture of glucose and maltose and, as you will have just read, both of these can be 100% fermented by yeast. Typically, the syrups contain about 80% glucose / maltose and so they are at least 80% fermentable. However, they contain about 20% other stuff that is not fermentable and that will hang around giving some colour and residual body to your beer. Wheeler reckons that some have more glucose than maltose and get referred to as ‘glucose syrups’ whereas others have more maltose than glucose and get referred to as ‘maltose syrup’. Also, the ‘golden syrup’ type product referred to above under ‘invert sugar’ is often not totally made of inverted sugar, its possible for it to be only partially inverted. See why you were confused about sugar now? Glucose powders or dextrose (not dextrins!) This is often sold to homebrewers as a powder and may be nothing more than a crystallised version of the syrups you’ve just read about. Hence they may not be totally fermentable. Caramel This is derived from burnt sugar and is not fermentable. It is used by some brewers to colour their beer and is essentially little different from gravy browning (serious ! )… your call but if you want colour in your beer you have more than enough options with the roasted malts described above! Polysaccharides : typically have many mono-saccharide molecules stuck together, in fact, as many as three thousand at a time ! No wonder yeast has a problem fermenting them! And just when you think that polysaccharides have no use in brewing, well, without them, your beer would never have any sweetness at all ! You see, there’s a whole range of polysaccharides that are produced during the breakdown of starches (whether by heat or enzymes, such as in a mash) that cannot be fermented and just hang around in the final beer. These sugars vary depending on the type of malts you use and the conditions in the mash. Brewers refer to these sugar types as ‘dextrins’ and they are responsible for all that lovely mouthfeel in the beer. In fact you may hear someone say that a beer with a lot of body is very ‘dextrinous’ or that the wort it was brewed from was considered ‘dextrinous’ . . . and now you know why ! Right, so we said it was a beginners guide and now I’ve gone to town on sugars and even told you you won’t use them much in your brewing, so what gives you ask ? Well, hang around until the mashing section and a lot of the discussion there will be a lot more understandable now you know the differences between all these different sugars ! 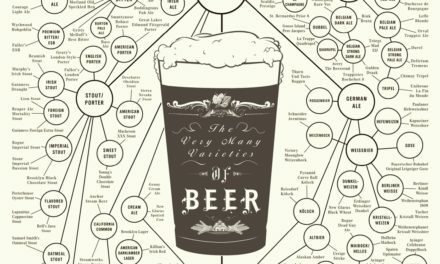 And if you are still confused, don’t worry, you can brew great beer without knowing all these ins and outs. Its just that, as I mentioned in the introduction, after a few passes through this guide, it’ll all start making a lot more sense . . sometimes you have to read the subsequent section to put your finger on why so much detail went into an earlier section, so relax, have a home brew! Irish Moss : During the boil, many proteins will come out of solution and float around in your wort. They can be spotted as what can only be described as cotton wool. And of course, as we don’t usually put cotton wool into our boiler, you can be quite sure that they are proteins which have come out of solution, forming the so-called ‘hot break’. Now, in order to mop all these proteins up, in the last 15 minutes of the boil you can add a small amount of Irish Moss. It essentially helps all the proteins stick together, thereby forming heavy blobs which, once the boil is over, will merrily sink to the bottom of your boiler. All the better for allowing you to then run off the boiler without them wanting to go along to the fermentor as well. Picture 3.12 shows a powdered version of Irish Moss, I add about 1 ml of this to 23 litres of boiling wort. And if you’re wondering where it comes from, its a seaweed extract. Before using it, try rehydrating it in a cup of boiling water for 5 minutes and smell that seaweed, its amazing! Picture 3.12 : Irish Moss : This version has been lightly powdered. Gelatine : This substance is added to the fully fermented beer as a way of encouraging all the yeast to settle out. Its originally made from the hooves of cattle but don’t let that put you off using it ! You should be able to buy it from any home brew store or I’m told that the stuff at your local supermarket, if free from sugar and flavourants, will also do. Just mix it into a cup of boiled water which has been allowed to cool until its ‘just hot’ and then mix into your beer. Its typically added to the fermentor a couple days before bottling.